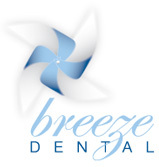 Our team constantly receive queries regarding how or if they can use Medicare with dental. Below we aim to answer a few of the queries we receive on a consistent basis. What are your Medicare and Dental Services FAQ’s? There is no general dental cover for adults under Medicare, only children who are eligible for the Child Dental Benefits Scheme. Please see our page in Children’s Dental for more information. What is the difference between Medicare and Private Health when it comes to Dental Cover? Medicare covers children only who are eligible for the Child Dental Benefits Scheme. Private Health covers adults and children who have enrolled with a Private Health Fund. We are part of the provider network for BUPA, HCF, CBHS, and Medibank Private, which can mean higher rebates are paid when claiming with these funds, and we accept most other health funds too. What procedures are covered by Private Health? Private health funds cover most dental treatments, including general dental such as fillings and cleans, and major dental such as dentures and crowns. Your rebate depends on the level of cover that you are signed up for with your health fund. If unsure, this can be checked with your health fund.